Comeback after a 7 year break. 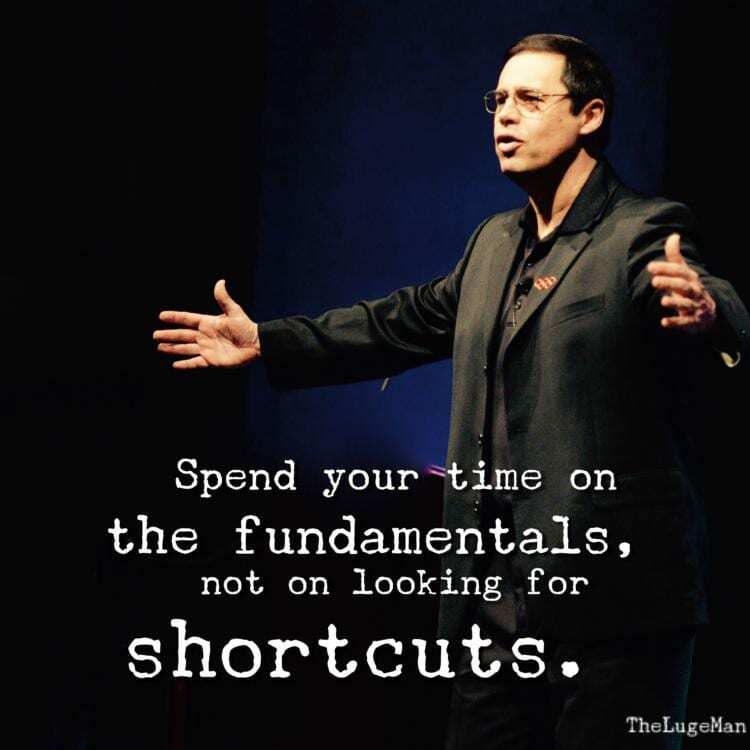 Get passionate about your goals. 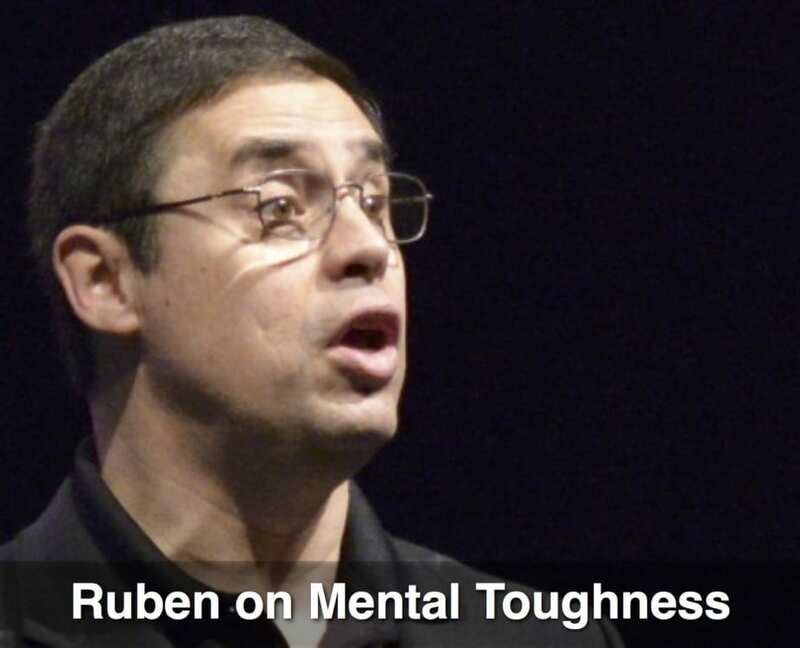 Ruben believes that with modern training methods, proper nutrition, modern medicine, sitting less, using good ergonomics at work, and mental toughness techniques, it will become more and more common for older athletes to compete in the Olympics. Life expectancies will get higher. 100 will be the new 60. People won’t have mid-life crises until they are in their 80s. People will be in their prime in their 50s and 60s. So don’t use your age as an excuse to not pursue a goal that’s important to you. Age is just a number. It’s meaningless. Just focus on your dream, surround yourself with like-minded mentors and coaches, stay positive, hopeful, and optimistic, and astound the world with the great things you do. Why Is Ruben Doing This? 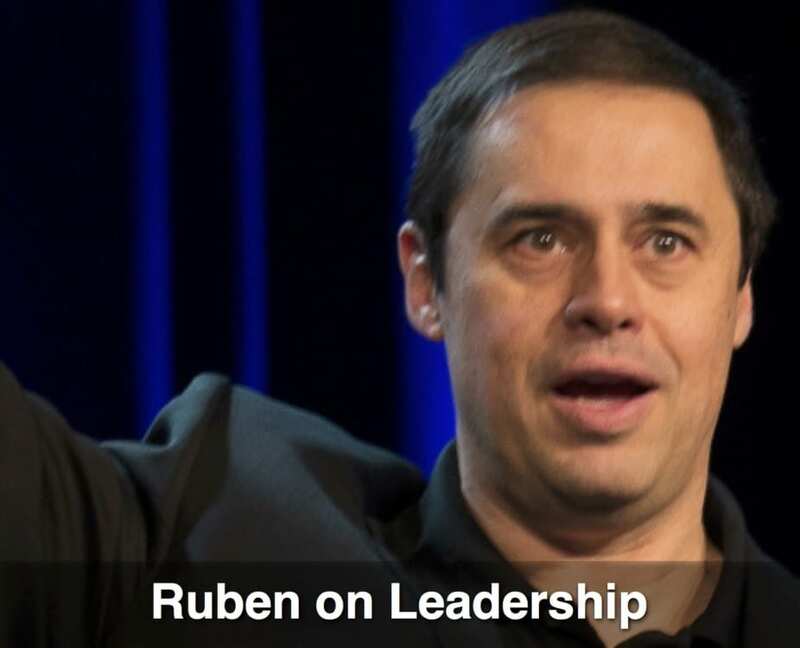 Ruben hopes that his record will not last longer than four years. He hopes other middle-aged athletes will be inspired to come out of retirement, start training again, and show the world that no matter how old you are, you can still pursue your goals and dreams. 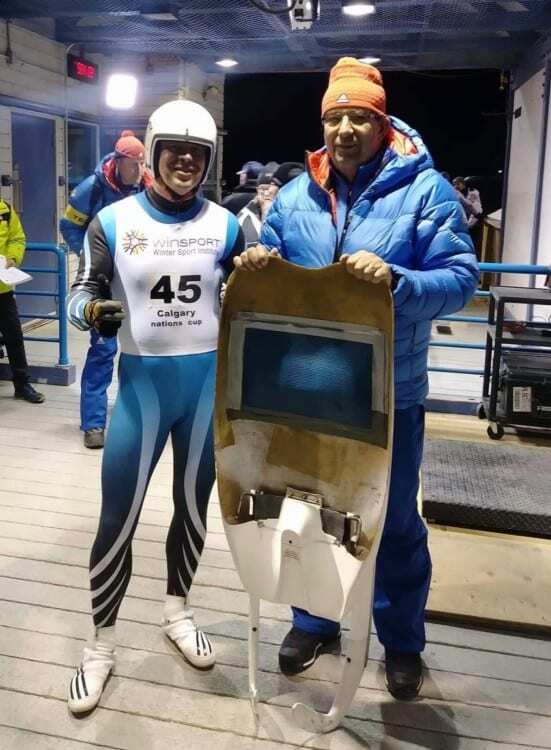 At 55, after a seven year break, Ruben’s back on the International Luge Circuit on a quest to become the oldest person to ever compete in the Winter Olympics in Beijing 2022 and the only person to ever compete in five Winter Olympics EACH in a different decade – 1988, 1992, 2002, 2010, 2022. The oldest person to ever compete in the Winter Olympics was Carl August Kronlund, a Swedish curler who was 58 at the 1924 Chamonix Olympics. 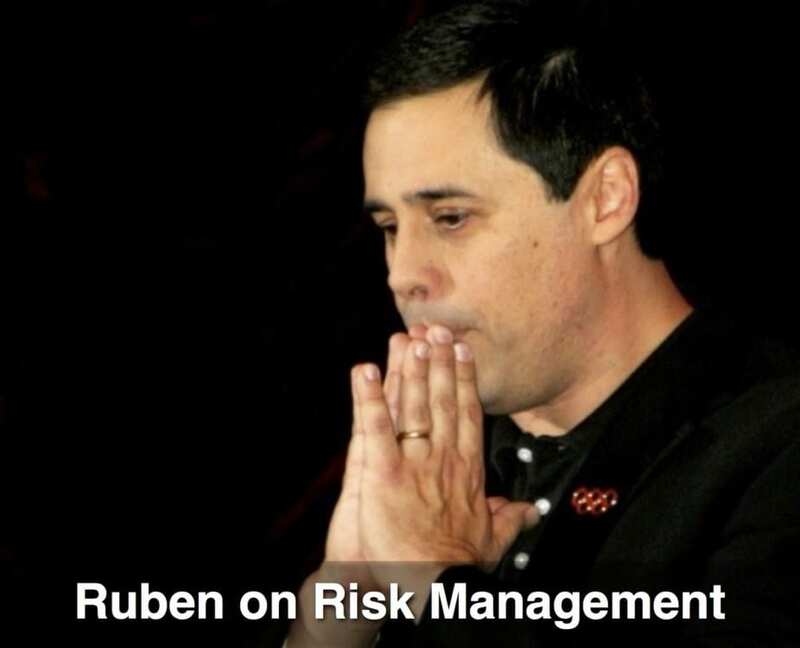 This is Ruben’s third seven year break. 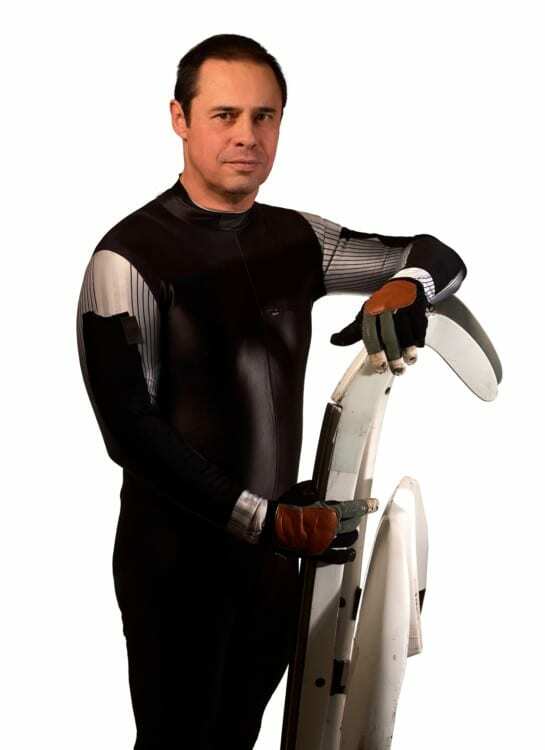 He retired after the 1992 Albertville Olympics, came back for the 2002 Salt Lake City Olympics, retired again, came back for the 2010 Vancouver Olympics, retired, and is back for more action after getting the seven year itch again. He’s the Brett Favre of the Olympics. 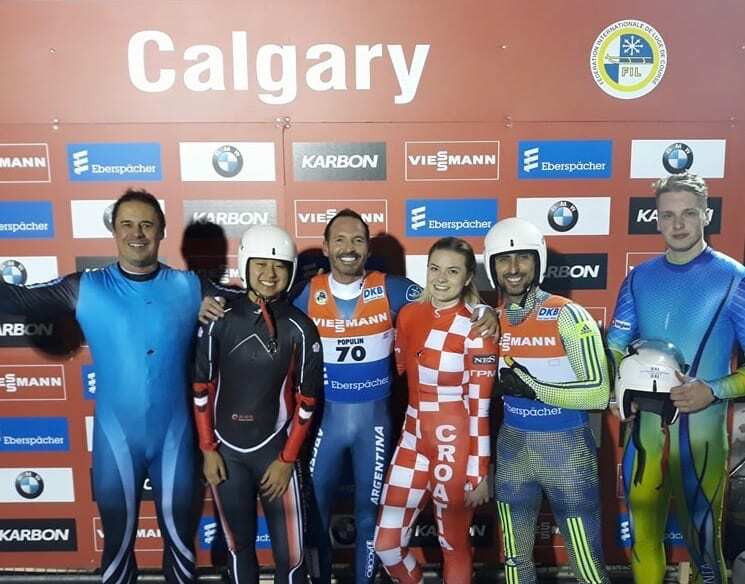 Ruben spent 10 days in Calgary taking his first luge runs since the 2010 Vancouver Olympics. The goal was to take some rust off, and work his way back to the top of the track in only 21 runs. While in Calgary, Ruben was coached by US Olympian Jonathan Edwards and four-time Latvian Olympian Guntis Rekis. The 10 day training went so well that Ruben decided to come back in December and try to qualify against the best in the world for the Calgary Nations Cup Race. 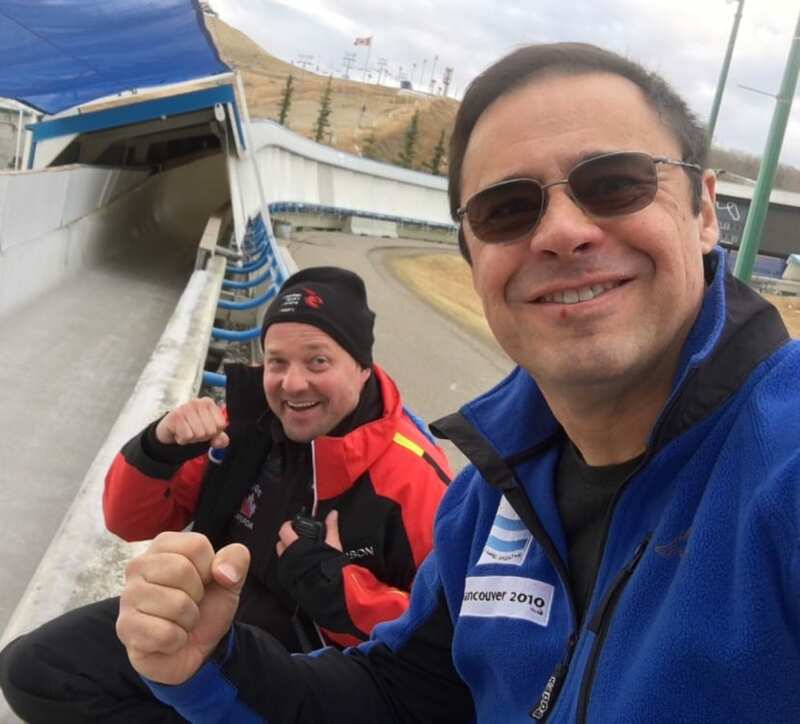 Ruben’s was using his 25-year-old sled, the same sled he’s used since the 1992 Albertville Olympics. Both Jonathan and Guntis agreed Ruben’s sled belongs in a museum, not in competition. After seven years, the sled’s suspension system was bound up and Guntis spent hours working on it. The coaches came up with some faster, riskier lines down the track, and Ruben worked on relaxation, proper aerodynamic position, flexibility and start technique. After the 10 day training, Ruben left the sled in Calgary so Guntis would have more time to work on it. Today’s sleds are a lot faster so Ruben will be getting a new sled for next season. Ruben came back to Calgary and would have only six chances to qualify for the Nations Cup Race. Three runs one day and three more the next day. Because of the faster sleds, Ruben needed to beat his personal Calgary track record by 0.2 seconds to qualify for the race. Ruben first slid in the Calgary track 30 years before, when the track opened in 1987. Most of his competitors had not even been born then. 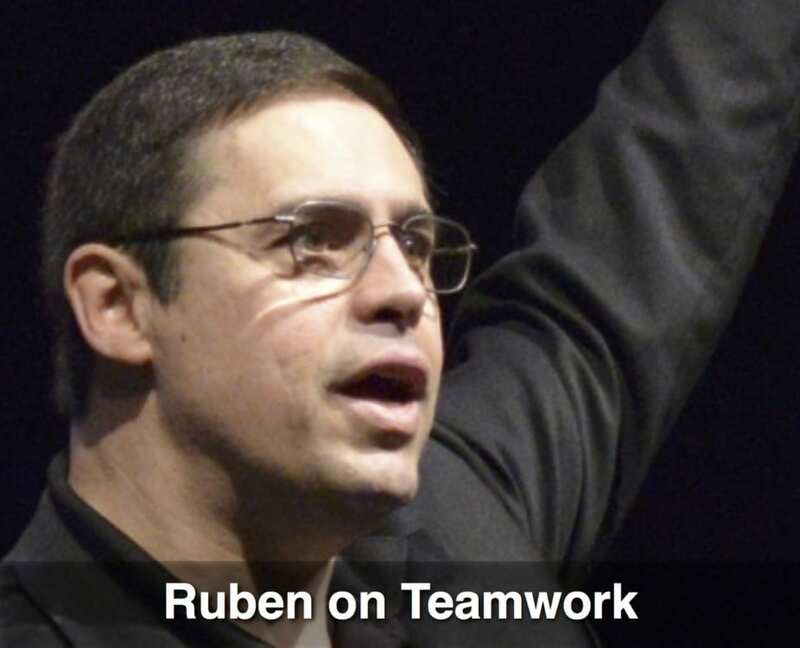 Some coaches told Ruben that at his age he should be coaching. After all, he was by far the oldest slider in the field. 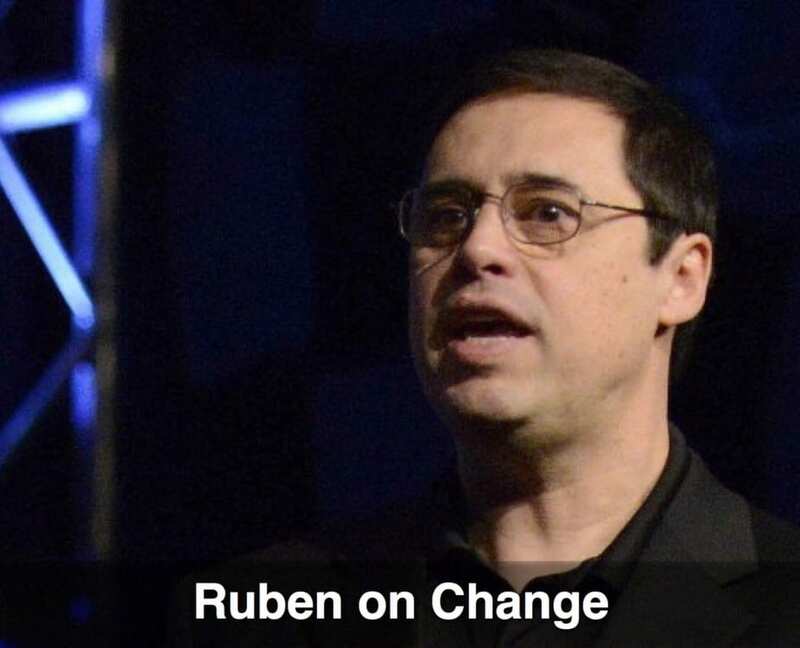 Ruben responded that he’d rather be in the trenches where the action is. Ruben surprised everyone when he qualified on his 5th run – by only 0.04 seconds! The blink of an eye. Afterwards, someone said that because of his old sled, it was like qualifying for a major tennis tournament with a wooden racquet. 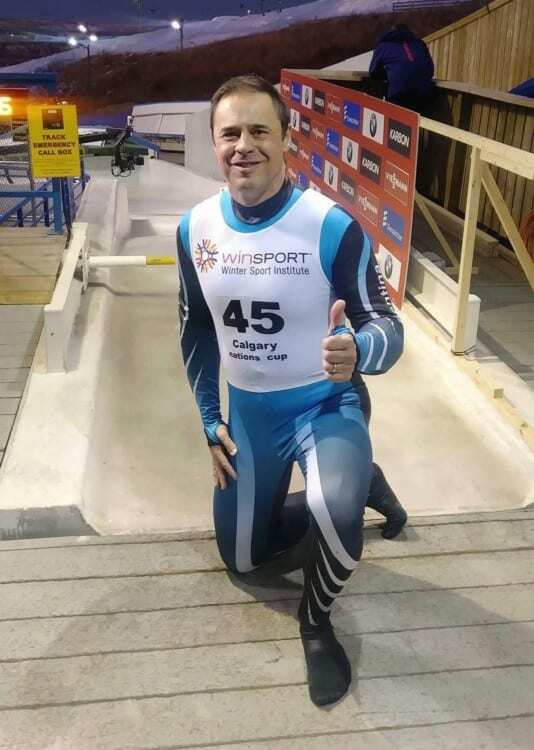 At 55 Ruben is now the oldest person to ever compete in the International Luge Circuit. His goal is to be in the top 37 men who will compete in the 2022 Beijing Olympics. 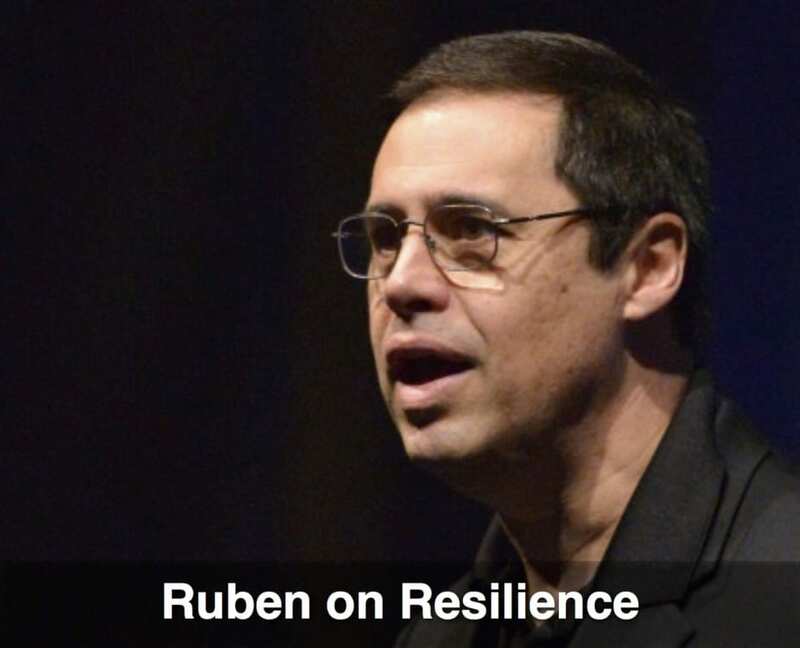 The next four years will be tough, but Ruben’s coaches say he can do it. In the off season Ruben will be focusing on improving his flexibility, his explosiveness and his starting technique so that coupled with a new sled he can compete with the world’s best at the 2022 Beijing Winter Olympics. Ruben competing at the 1988 Calgary Olympics over 30 years ago. 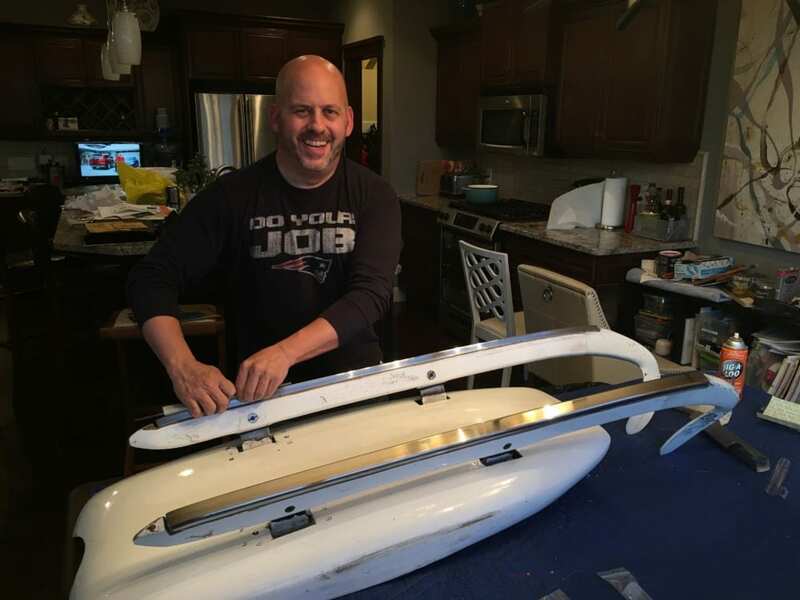 Coach Jonathan Edwards (USA) working on Ruben’s sled. Coach Guntis Rekis (Latvia) going over lines with Ruben. Coach Ioan Apostol (Romania) helping Ruben at the weigh in. 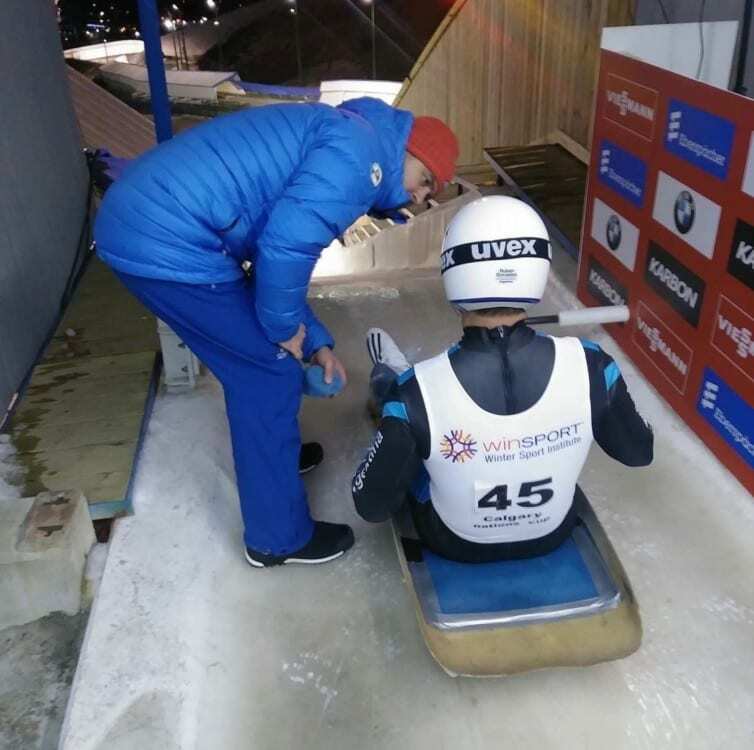 Coach Robert Taleanu (Romania) helping Ruben at the race start. 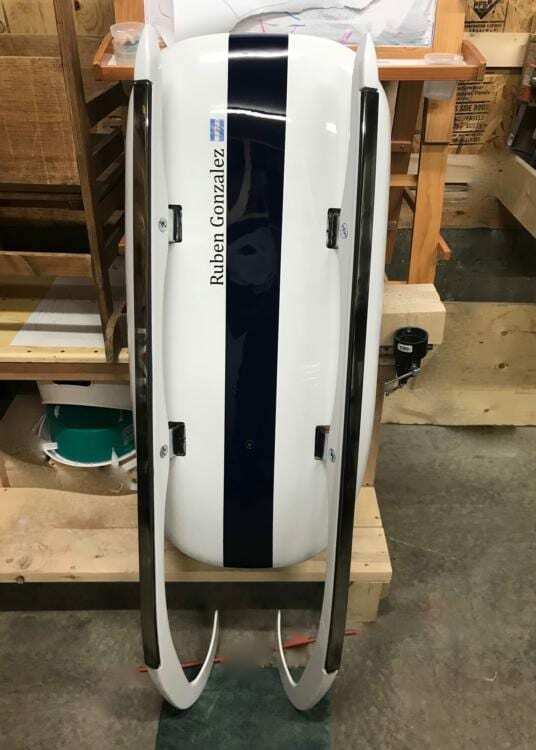 Coach Robert Fegg, a top German sled-maker, made Ruben’s new sled. It’s going to take some getting used to, but after the normal adjustment period, Ruben should be sliding faster than ever. 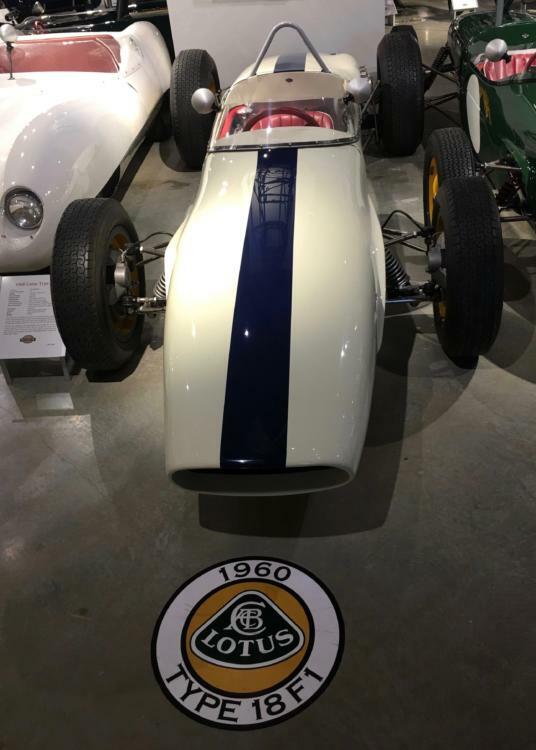 While visiting the Barber Auto Museum in Alabama, Ruben fell in love with the 1960 Lotus Formula 1 car in the picture and decided to paint his sled to match. 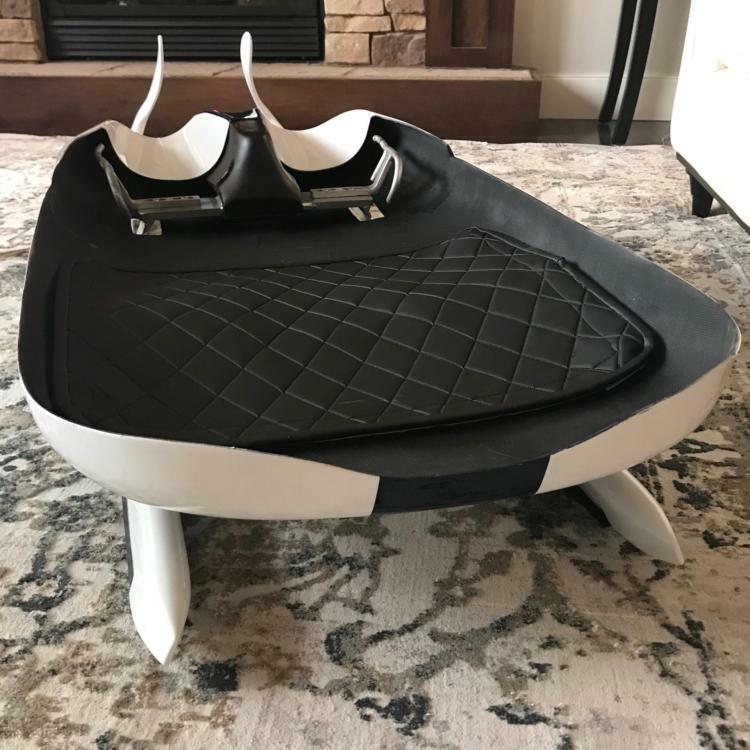 The “Lotus 2022 Sled” looks great. 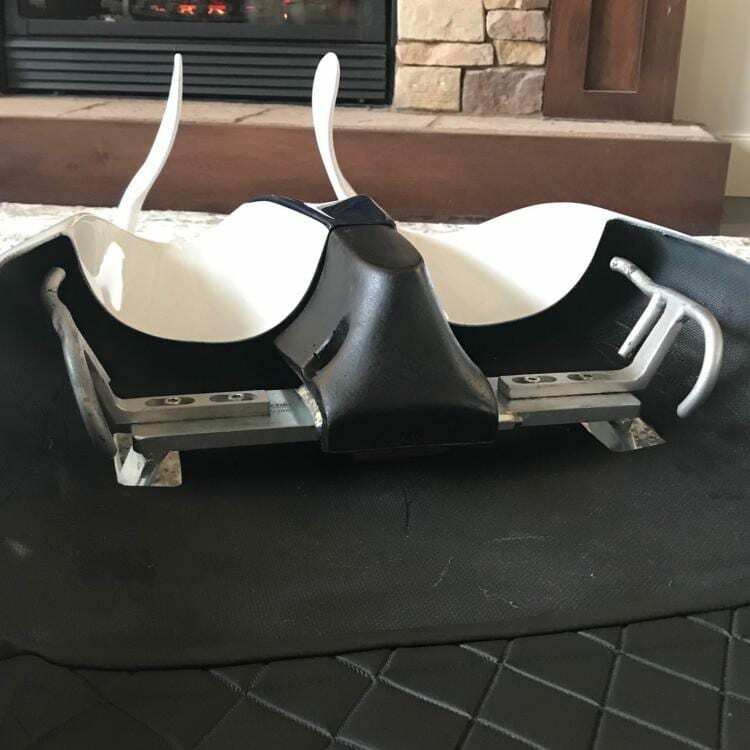 After an off season working on increasing his flexibility, Ruben will train in several tracks in North America focusing on the fundamentals of luge. 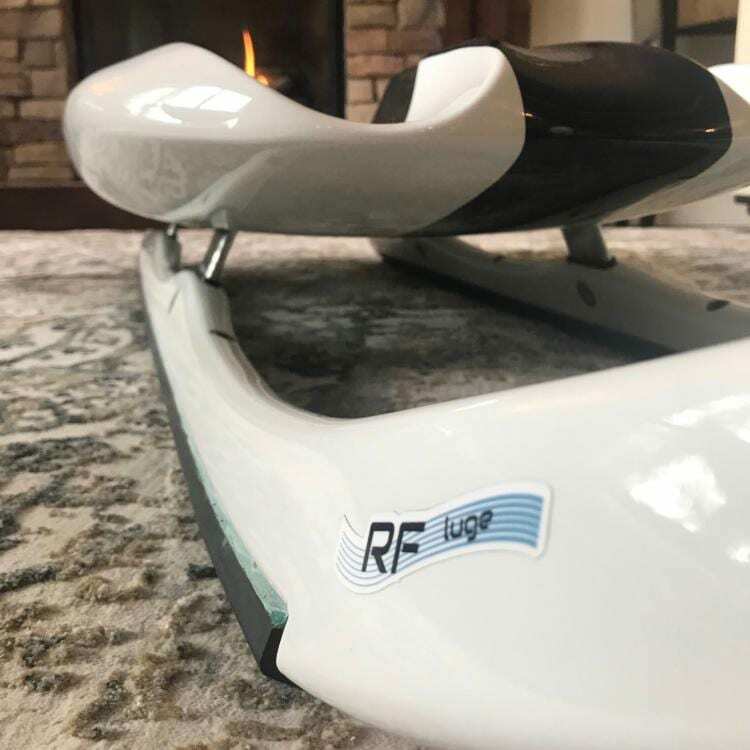 This “back to basics” approach will help make up for his cramming 10 years worth of training in only two years when he first began to learn the sport of luge in 1984. 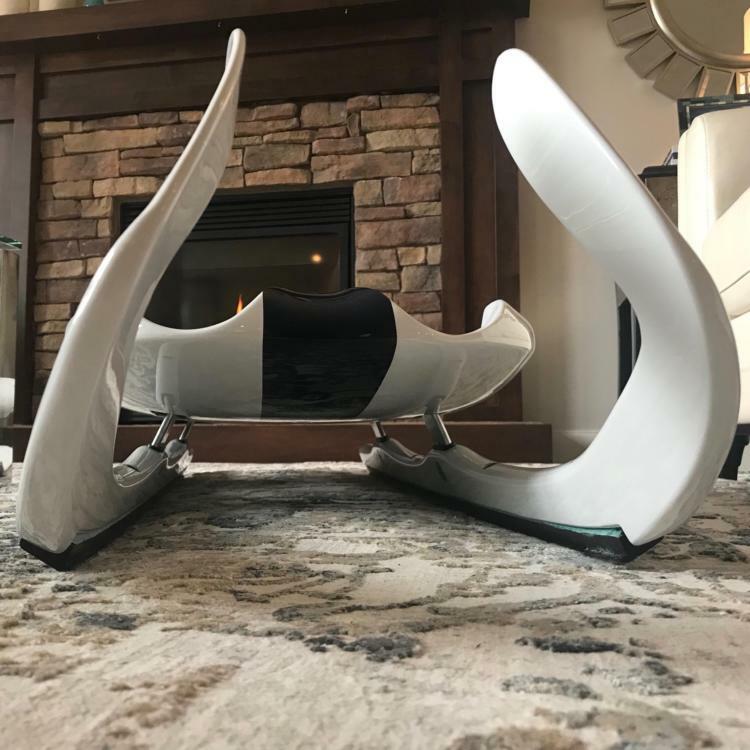 It’s time to replace some bad habits with some solid luge technique. “2022 Lotus Sled” the “Mach 5” for 5 Olympics in 5 decades. Front of sled. The candy cane shaped parts that hold the steels are called kufens. Top of sled as seen from the back (head side) to the front (feet side). 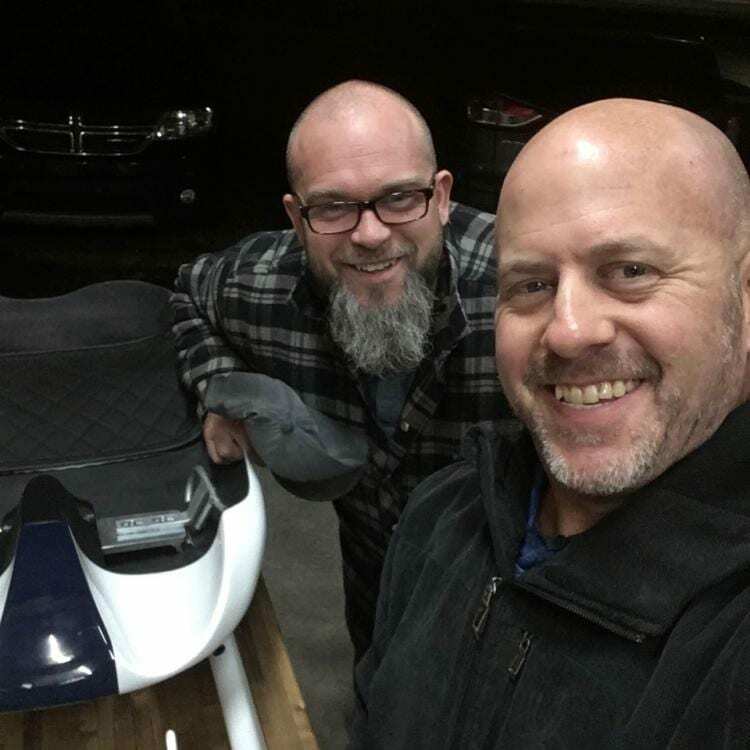 Coaches Robert Fegg (GER) & Jonathan Edwards (USA) next to the new sled. Closeup of the front and how the steel runners are attached to the kufens. 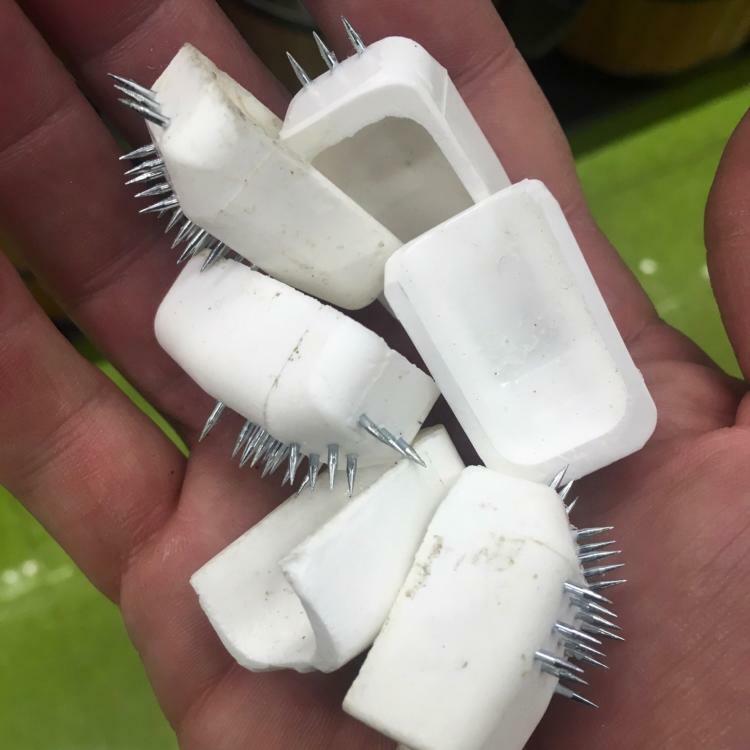 Brand new set of fingertip spikes compliments of Coach Robert Fegg. Closeup of sled handles. To stay relaxed you hold on very lightly.